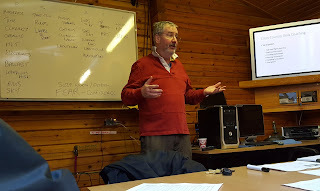 This morning the Bronze lectures continued, with Bob Smith demystifying things like the importance of L/D for calculating final glides, why flaps make a difference, what happens to VNE at 20,000ft.... he even explained G relief. After all of this, and a cup of tea, one person was shut away in the briefing room for a go at the Bronze paper. News has yet to emerge of how he got on, hope he's not still in there. 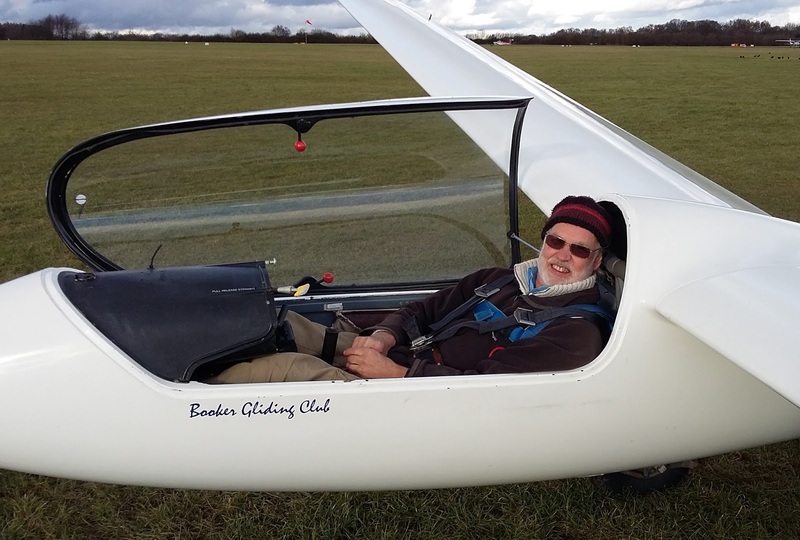 Meanwhile, out on the airfield the sun was shining and people were enjoying the thermals, amongst them Chris Rowland who celebrated the 50th anniversary of his first flight in a glider. 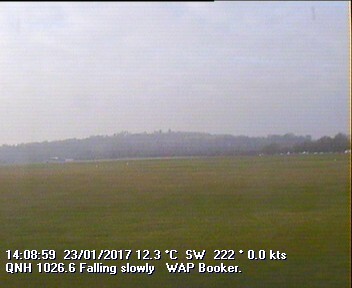 That flight was in a T21 with Blackpool and Fylde GC, then based at Samlesbury, near Preston, but now renamed Bowland Forest GC and based at Chipping, still near Preston. His anniversary flight was in a Junior - considerably less draughty. Here is a nice picture of today's sky, taken by Chris on an earlier flight in the Falke. And this is what the sky looked like as it got more showery - and wavy. The winter briefings continued this Saturday with an interactive session from Jim White on “XC Skills Development”. The assembled audience were challenged to declare their cross-country or development objectives, examine the barriers to personal progress, look at “process goals” and plan actions that will bring them closer to achieving their objectives. 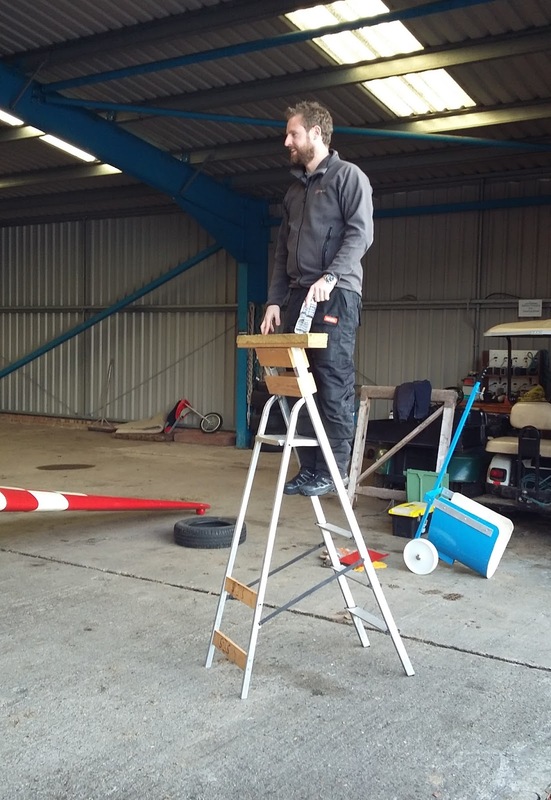 Jim’s (and Tim Scott’s) enthusiasm for improving their own cross country skills and sharing their knowledge with aspiring high-fliers was clearly evident. If you want to develop your cross-country flying these guys can, literally, point you in the right direction! Meanwhile, out on the (rather chilly) airfield there was much activity with probably the busiest day of the year so far - the good weather bringing out many members from hibernation. Another fine day on the airfield. Deceptively warm in the January sunshine. A few hardy souls made it to the 06 launch-point and then got their feet in the air. There was some instructor development and a few quarter clovers. Nothing special to report, but thought I'd blog a pic anyway. It was great sitting in the back of the K21 checking out the local topography highlighted by the low winter sun; it almost reminded me of the Black Mountains! Puzzle of the day - Question 1. Spot the windmill in this pic? 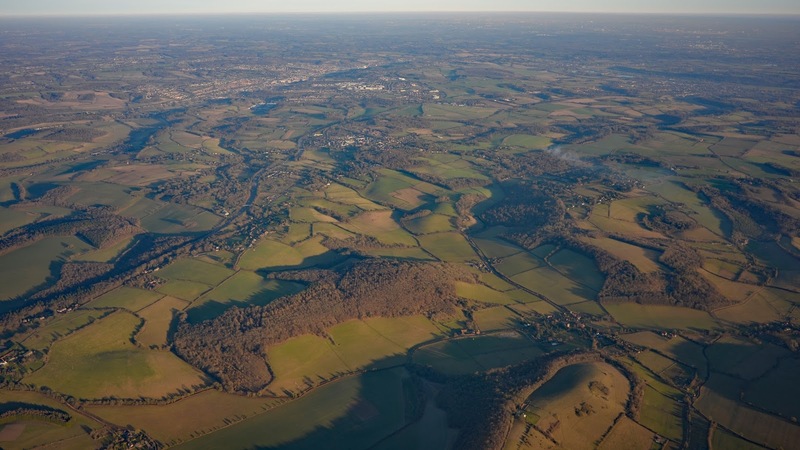 If you are new to Booker then if you enlarge the pic (by clicking on it) Turville Windmill is the tiny white blob on the ridge just right of centre at the bottom edge of the pic. This ridge can be a good thermal trigger with a little bit of wind to help. Question 2. Spot the airfield! 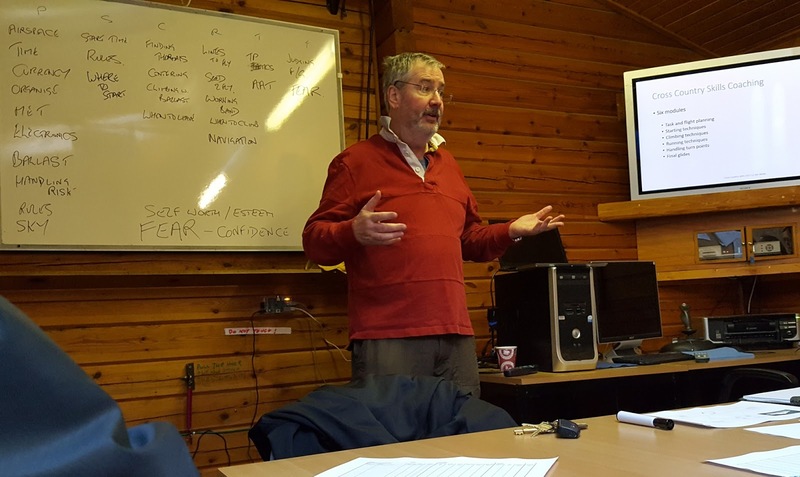 The Winter Briefings continued yesterday with an introduction to Meteorology, well attended by members and once more by visitors from the Upward Bound Trust, Haddenham. Since I was the one giving the briefing I can't really give myself a review, but those attending seemed to enjoy the morning. 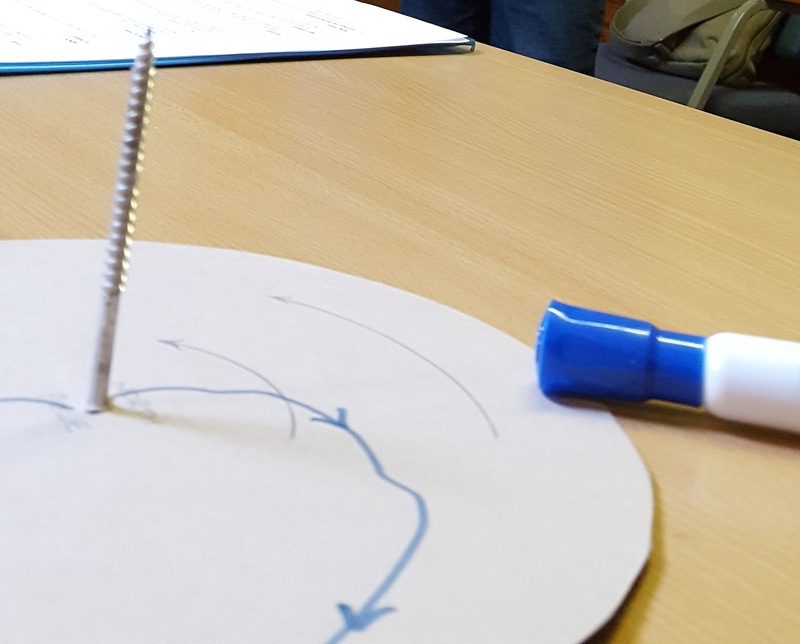 No prizes for working out what the visual aid below was demonstrating. 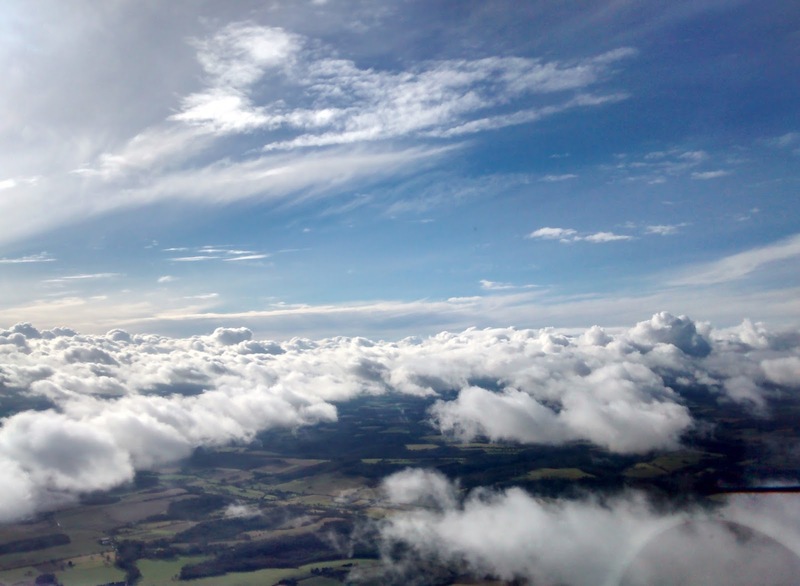 And if you really want to learn about weather you could do a lot worse than do the Open University's short online course Come Rain or Shine run by the University of Reading. It lasts 3 weeks, 3 hours a week, and you can study when and where you like. Don't miss next week's talk on XC skills development by Jim White. 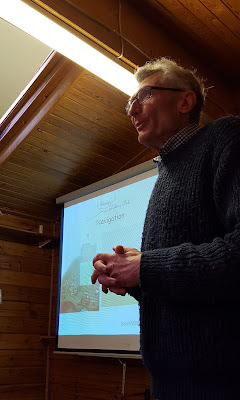 The 2017 Winter Series of briefings (for aspiring Bronze pilots and others) got off to a good start with a full house for Steve Williams as he de-mystified navigation for an audience which included some visitors from the Upward Bound Trust at Haddenham. The next briefing is Meterology on Saturday 14th January. 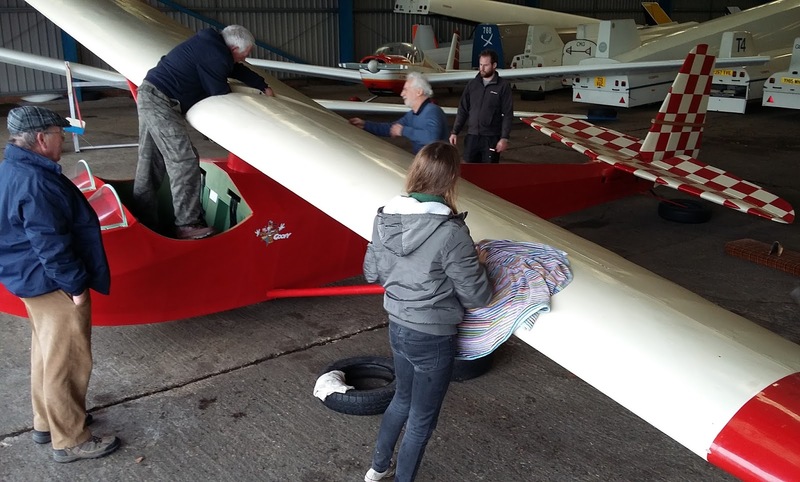 Meanwhile in the hangar an assorted team set about de-rigging the T21, a complex process requiring hammers and quite a lot of supervision. The team then retired to the clubhouse to thaw out with tea.